Hey Mama! 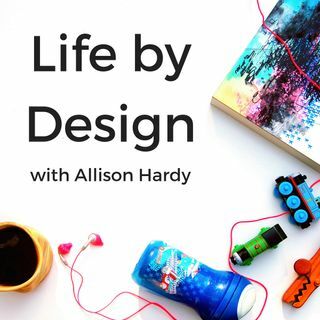 Welcome to episode #108 of the Life by Design Podcast with Allison Hardy! Today I’m interviewing with the founder of $1K Mom and Ambitious Motherhood podcast host, Katie Fleming! Katie Fleming is a mom to 2 little girls and wife to her high school sweetheart. Katie is the founder of $1k Mom, a community of moms who are building businesses and raising a family, and doing both well. Weekly, she hosts the Ambitious Motherhood podcast where she dives into interviews with other moms ... See More going after their calling, both in their home and outside of their home. She is the creator of the $1k Method™ - the 3 Step Process to starting and monetizing a business online, built around your expertise and your family lifestyle. She loves handing out permission slips to moms and encouraging them to go after their calling both in their home and outside of the home. > Katie’s definition of having it all is being able to decide moment by moment where I need to put my focus and priorities. > Katie’s mom once told her, “Don’t quit on a bad day”. This quote has helped her in her life and business. >Katie suggests you have to work business into current life schedule. >To be successful with business with kids and babies with nap times you need to know what your goal is and the tasks that go with it. You also need to know your blocks of time throughout the day when you can work. >Don’t feel mom guilt when you are trying to accomplish a way to grow your business through revenue producing activities. >Katie says one of the best revenue producing activities is to connect with your audience and have conversations with them everyday. >Katie suggests turning on some music and “brain dump” all the things you are thinking and wanting to do with your business. Whatever you choose to do, do it consistently.